Late works can be a personal and telling glimpse into a composer's state of being. With this in mind, RossoRoseDuo presents “End Notes” – an exploration of last violin and piano sonatas by Debussy, Beethoven and Shostakovich. From euphoric to pastoral to deeply resigned, the three chosen sonatas are guaranteed to make you ponder the wonder of life and joy as well as experience the inevitability of loss and suffering. Alisa Rose and Amy Zanrosso are two expressive and powerful musicians intent on exploring what it means to be a piano and violin duo making music in the 21st century. 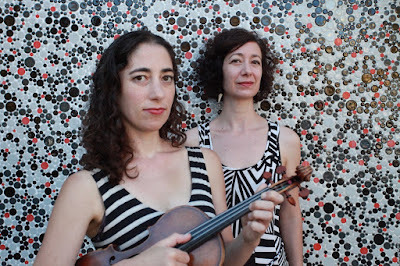 Striking and dramatic in their musical choices, RossoRose seamlessly melds their classical training with the rhythms and musical freedom of a variety of traditions that include tango and American roots music and are not shy about breaking rules in order to communicate with an audience.